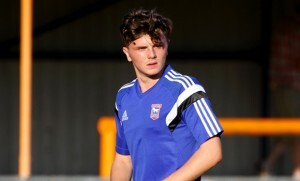 DB Sports Tours starlet Adam McDonnell is set to be handed his league debut for Ipswich Town this weekend against Derby in the final match of the season in the Championship. Below is the article looking at this great news for the Irish youngster. Town boss Mick McCarthy will hand Irish U18 international Adam McDonnell his league debut at Derby on Saturday, while Myles Kenlock will continue at left-back with Jonas Knudsen still expected to be out with a knee problem. “Adam is starting on Saturday,” the Town boss confirmed. “We think a lot of him, he’s not had his opportunity but he will start on Saturday. McCarthy has already confirmed that the 18-year-old former Shelbourne central midfielder, whose only senior appearance for Town was at Doncaster in the Capital One Cup, will be offered a new contract, while the club has already taken an option for a further year on his existing deal. Knudsen is again set to miss out, but skipper Luke Chambers will be back having been sidelined for the MK Dons game by an ankle problem. “Chambo’s fine but Jonas has still got a bit of an issue with his knee, so he’ll probably not be involved,” McCarthy said. The Town boss was delighted with Kenlock’s performance last week and the 19-year-old will again be in the side against the Rams. “It was great watching him play last week,” he continued. “I thought he got better in the game. “I thought Josh Emmanuel had a really good first half and Myles equally had a really good second half and set up the winner, which was great for him.